Introducing our first roller ball pen, a version our popular JR range. 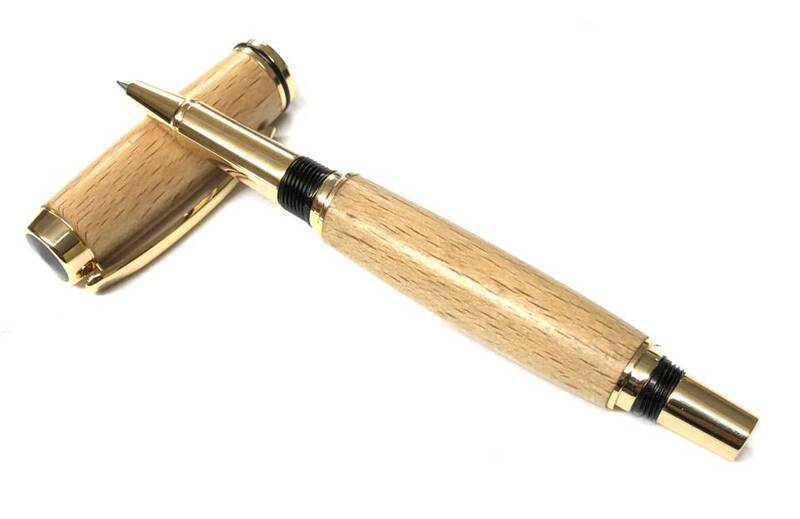 It’s the same design as the JR Fountain Pen but with a roller ball refill. The refill used is the German made Schmidt (0.6mm fine) for smooth writing and it writes beautifully. We’ve had a few people try them out and they were really impressed. Refills are also available as an optional extra.